Chinese phone and TV maker Letv has updated their brand name and logo. The company has officially rebranded itself from Letv to LeEco and has also unveiled a new logo. LeEco has been getting quite a lot of traction, both in its home country, China, as well as globally. The company says that they are looking beyond their domestic market and want to compete on a global scale with companies from the Fortune 500 list. In addition to this, the company also announced a new 65-inch 4K TV for RMB 4,999 (Rs. 51,000 approximately). LeEco (formerly Letv) premiered its new brand and logo in the afternoon of January 12. During the "Global Brand Upgrade" press conference under the theme of "A New Eco World", the company unveiled its new brand logo for the Le Ecosystem and its seven sub-ecosystems to an audience of nearly 1000 media and industry partners, and announced its plan to bring about a beautiful eco world for global users. The new logo consists of the letters “L” and “E”, conveying the quintessence of the Le Eco world with its simple and elegant design. The four strokes which comprise "LE" each represent one of the four tiers of the Le Ecosystem – Platform, Content, Device and Application. The dot formed by the overlapping of two strokes symbolizes the pivot of the entire ecosystem: EUI and Le Fans. The connection and interaction between the letters "L" and "E" expresses the LeEco spirit of constant disruption, breaking boundaries and eco synergy. The three colors of blue, red and green plus the all-inclusive color of grey represent the integration of technology, culture and the Internet within the Le Ecosystem. 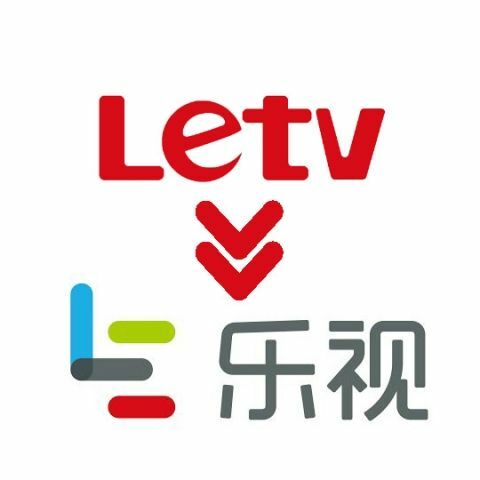 During the press conference, LeEco officially announced the name change of Letv.com to Le.com, the adoption of its new global top-level domain "le.com" and the launch of the all-new Super TV X65 at RMB 4,999, bringing the price of 65-inch 4K smart TVs down to the RMB 4,999 range. Besides, it announced the global strategies of Le Vision Pictures and Le Cloud in 2016, opening a new chapter in Le Ecosystem's development as it fully gears up for global expansion. In addition to the Le Ecosystem logo, LeEco also introduced the logos of its seven sub-ecosystems. The word "TV" has been eliminated from all sub-ecosystem logos, showing that LeEco has fully grown from a video website in 2004 into a full-featured "eco world" integrating Platform, Content, Device and Application. "Letv is where we started, but LeEco is our future," said Ablikim Ablimit, Le Holdings' Vice President of Strategy, "We will create a more beautiful eco world with new value for our users. And our brand-new logo will bring users into this exciting world." After the full implementation of LeEco's seven sub-ecosystems in 2015, LeEco's strategic focus in 2016 will be on globalization, global open ecosystem, and achieving perfect synergy among the sub-ecosystems, according to Le Holdings' Vice President of Strategy Ablikim Ablimit. According to Ablikim Ablimit, LeEco's strategic goal of globalization is to not only make its products available in major global markets but also bring its entire ecosystem to major regions and countries of the world, and provide the ultimate experience and superior value to users in those countries and regions. LeEco's strategic priorities in this regard arecountries and regions with huge potential for breakthrough innovation or with high-speed growth such as the U.S. and India. Meanwhile, it will also keep on expanding in Southeast Asia markets including Hong Kong. In addition to a giant 65-inch 4K UHD panel, the Super TV X65 features 4K smart TV Mstar 6A928 SoC, quad-core 1.4GHz processor, a flagship quad-core Mali T760 GPU, 3GB RAM and 16GB flash, and supports 60fps H.265/HEVC 4K hardware decoding. The Super TV X65 which combines "ultimate technology, comprehensive ecosystem and disruptive price" is set to raise a new wave of large-screen TV popularization. Can I have a Software to name my Playlist???? ?